Are you looking for professional, reliable and ethical London Private Investigators? Then look no further, Titan London Private Investigators are exactly what you require. Titan Private Investigation Ltd has 6 offices throughout the UK located in London, Cambridge, Leicester, Nottingham, Derby and Sheffield. With over 21 years of investigation experience utilising our professionally trained investigators from an array of former government backgrounds and experiences, we lawfully gather the intelligence you require. We serve both corporate and private clients across the UK, however, our client base is predominantly located within London. Our London Private Investigators and operations team can deploy at little or no notice if required and utilise professional optical equipment to capture video evidence. Our clients are allocated a case manager to advise and keep you updated with developments throughout the investigation. A comprehensive report is compiled by our team of analysts within 24 hours of completion of the instruction. This will include still images taken from the video footage gained. All imagery contains a time and date stamp allowing our reports to be recognised and admissible within a courtroom environment if so required. Titan Private Investigation Ltd is a member of the Association of British Investigators and prides itself on our company ethos of Professionalism, Integrity, Discretion & Trust. All enquiries are handled with sensitivity and complete confidentiality. We offer a free consultation process which if required can be conducted in person. What Services Do Titan Investigations London Private Investigators Handle? Does your company have a culture of absenteeism? Or maybe you have identified a pattern in absenteeism and want to validate whether this is genuine. We deploy a minimum of 2 operatives ideally supported by a surveillance motorcyclist within the capital to limit the risk losses. Maybe you believe an employee is meeting a competitor or stealing intellectual property to sell on or set up a rival company. Covert tracking devices can be deployed onto vehicles so that you can monitor their live location or interrogate historically. You will be provided with a login and password to facilitate the process. Do you require background checks to be conducted into an employee or potential business partner? It appears to be common practice in this day and age to deploy listening or video equipment to gain a commercial upper hand over competitors. Do you suspect your offices or vehicle may be at risk? We write bespoke security policies to protect your assets and staff. Do you wish your current security policies and procedures to be tested? Could our operatives penetrate your offices or get close to sensitive areas within your business? Counterfeiting and fraud is common practice within the commercial sector, particularly when financial gain can be made. Do you believe you are at risk of being followed whilst conducting your business? We will confirm or deny whether this is the case by deploying our London Private Investigators and our London Surveillance / Counter Surveillance teams detect such tactics. Have you had a company theft and believe the offender is a company employee? We utilise polygraph testing or in cases where there are multiple suspects, Eye Detect, which is a process used to test more candidates over a shorter period of time. Our professional close protection operatives can be deployed as chauffeurs, personal protection officers or as a team to mitigate any risk and threat. A bespoke service will be devised dependant on risk and budget. Titan London Private Investigators serve all legal documents in person throughout London and nationwide. Do you suspect your partner is having an affair or an inappropriate relationship? We deploy a minimum of 2 surveillance operatives to record your partner’s movements and get you the answers you require. A comprehensive report is compiled by our team of analysts within 24 hours of completion of the instruction. This will include still images taken from the video footage gained. All imagery contains a time and date stamp allowing our reports to be recognised and admissible within a courtroom environment if so required. Titan’s London Private Investigators are fully trained professionals and offer a totally discreet and confidential service. Covert tracking devices can be deployed onto your partner’s vehicle so that you can monitor their live location or interrogate historically. You will be provided with a login and password to facilitate the process. When honour is at risk then refutable evidence is required within certain communities within the UK to protect a family name or that of children. Titan is well versed in this sensitive area by working closely with various cultures. Is your child enrolling onto a UK based educational course from overseas? A chaperone is a point of call for the student to gain advise as regards English culture and to look after their safety. Missing persons aren’t always a priority for the police if they aren’t assessed as at risk. It doesn’t make it any easier for families though. Our missing person team will devise an investigation plan bespoke to your needs and budget. Anti-social behaviour comes in many forms and can be very distressing. Talk to our anti-social investigation team to receive advice and a bespoke investigation plan. Covert observations can be challenging in rural environments and are sometimes required for long periods of time. Our former government CROP operatives are able to deploy and conduct covert observations for up to 48 hours at a time in rural environments. Are you introducing a new partner into your family or maybe you’ve met someone online? Titan’s experienced team of London Private Investigators can conduct background checks on individuals to put your mind at rest. You may wish to trace an estranged partner, school friend or distant family member. Titan is able to conduct a tracing service throughout London and the UK to put you back in conduct. This is a no trace no fee service. London Private Investigators - Who do I contact? 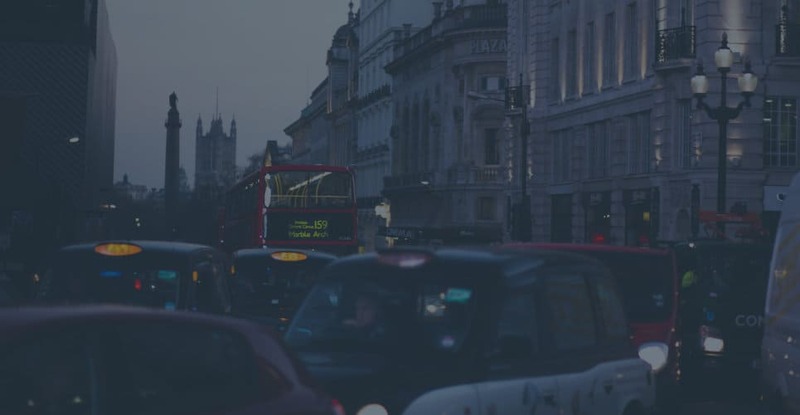 Titan Private Investigation Ltd’s London office is situated close to the City of London just off the Old Street Train and Underground Stations. We also have offices in Cambridge, Derby, Nottingham, Leicester, Sheffield, and London however due to our central location our operatives are more than willing to travel the breadth of the country. Alternatively, contact us by email using our fully confidential contact form and one of our team will get right back to you or use our Live Chat facility to chat directly to one of our London Private Investigators.